This week on Talent Tuesday, we present the Veena Thambaps team – two sisters with one love for music. 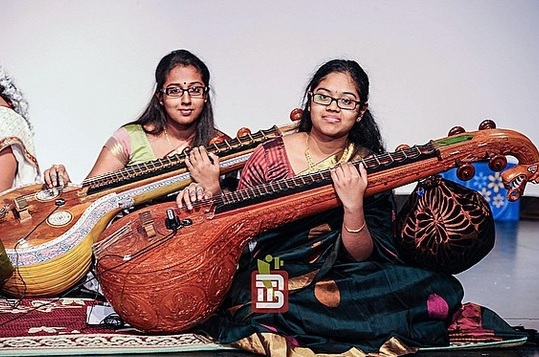 Aara and Athithya Thambiappah are two talented sisters who perform veena covers of popular songs. Close your eyes, plug in your headphones, and let them take you to a musical haven. This production was created by Tamil youth, support and encourage their talents by providing them with your feedback! To see more of their productions, click here. This entry was posted on Sunday, March 15th, 2015 at 7:43 pm	and is filed under Cafe. You can follow any responses to this entry through the RSS 2.0 feed. You can leave a response, or trackback from your own site.